Wine Lover's Tour is not currently available. 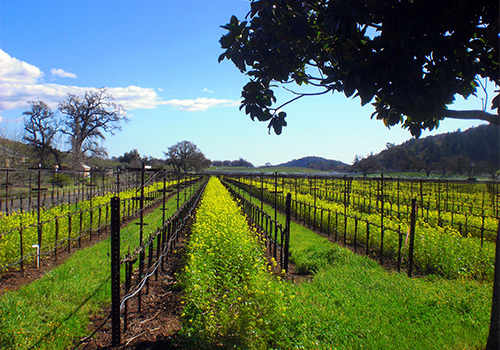 Wouldn’t you love to spend your day tasting wine from Napa and Sonoma Valley’s top wineries? 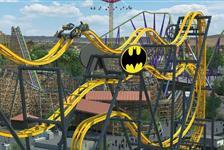 You can on this tour! 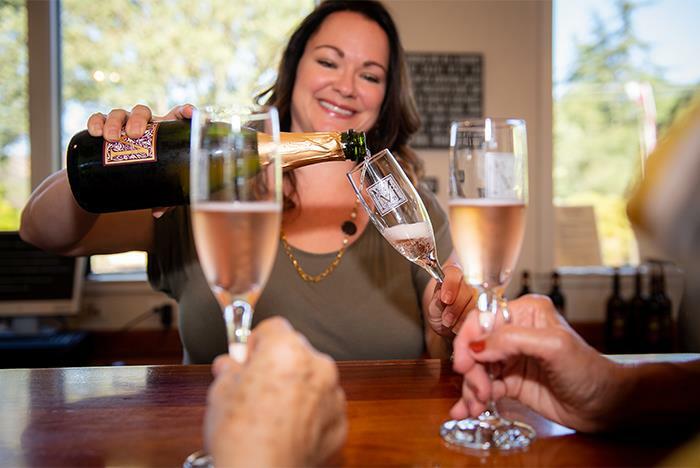 You’ll tour 4 to 6 different wineries from around the area while learning about the history of the California winemaking industry. 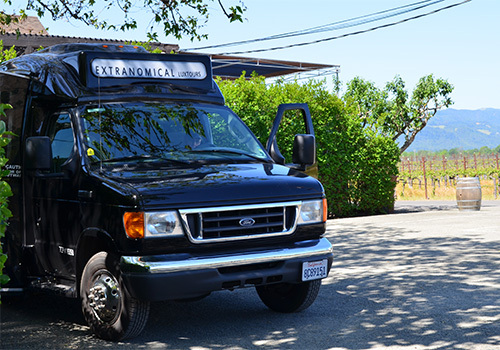 Sit back and relax in our luxury van while we transport you and your group to some of the best tasting wine all of California has to offer. Love fine wine? 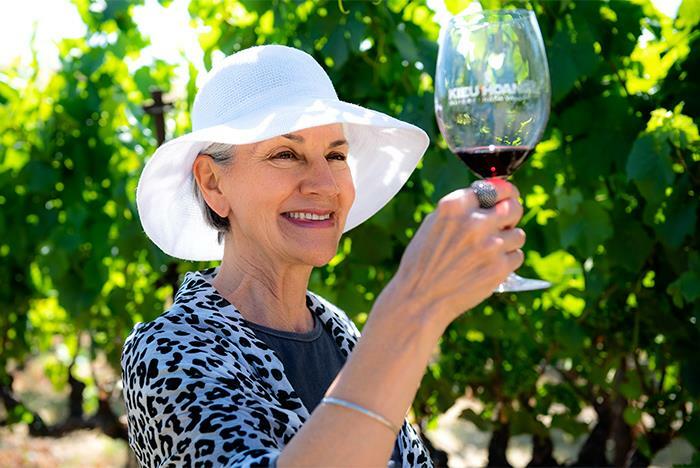 You’ll experience some of the world’s finest on our wine-tasting tour of Napa and Sonoma Valley wineries. Not a wine expert? Not to worry! 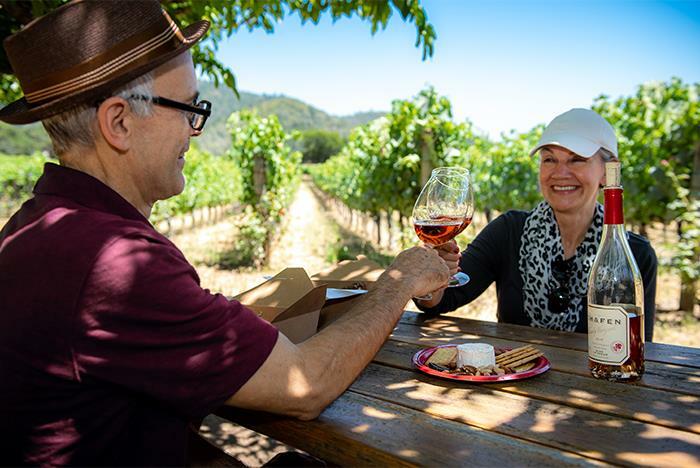 You’ll have a great time, meet some really cool people, see amazing sights and learn all about fruits of the vine that have made valleys north of San Francisco so famous. 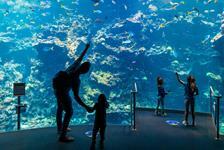 And you’ll love this: We pick you up right at your hotel in downtown San Francisco. 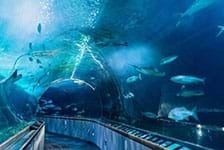 You’ll leave the bustle of The City behind as you cross the Golden Gate Bridge or Bay Bridge heading for wine country. 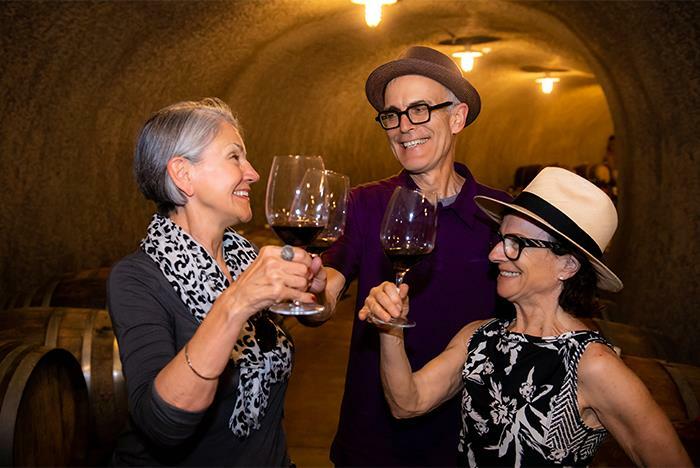 As you roll through wine country, you’ll experience the many microclimates and see the soil types that combine to produce some of the world’s best winemaking grapes – Cabernet Sauvignon, Chardonnay, Merlot, Zinfandel, Pinot Noir, Sauvignon Blanc. Along the way, keep your eyes open for endangered critters that make a home in the area, especially near the Napa-Sonoma Marsh. 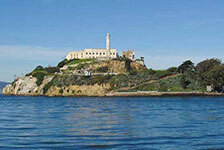 You may see a California brown pelican or a black rail, a Ridgway’s rail or a Suisun shrew. The lush hillsides of the wine country are home to black-tailed deer, coyotes, red-tailed hawks and even a mountain lion. 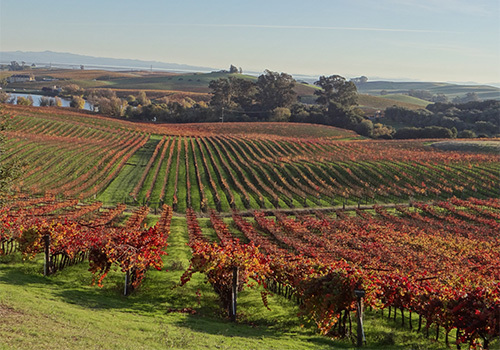 Fast-forward to today, and you’ll see a beautiful region that produces some of the world’s best wines. Don’t just take our word for it. You can look it up! At the Paris Wine Tasting of 1976, a contest conceived by a British wine merchant with French judges, California wines won best-in-the-world honors. You won’t be asked to do any blind-tasting comparisons during your four-winery tour. Instead, just remember these five easy wine-tasting steps: See, swirl, sniff, sip, swallow. Repeat. Now you’ve got it! Enjoy a delicious picnic lunch with your tour companions and try out a variety of food-wine pairings and see what delights your taste buds. 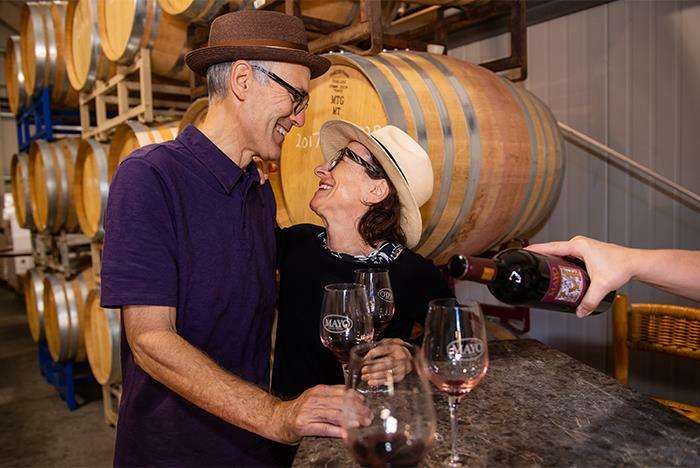 Whether you consider yourself a wine connoisseur or a wine-tasting novice, you’ll be warmed by the good company of the people in your tour and your friendly vineyard hosts. 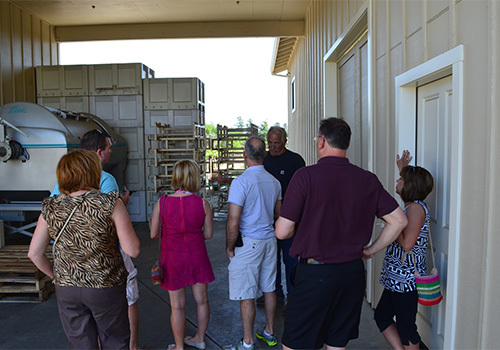 After lunch, the tour will be customized to the groups’ desires by visit two more requested wineries (fees not included). 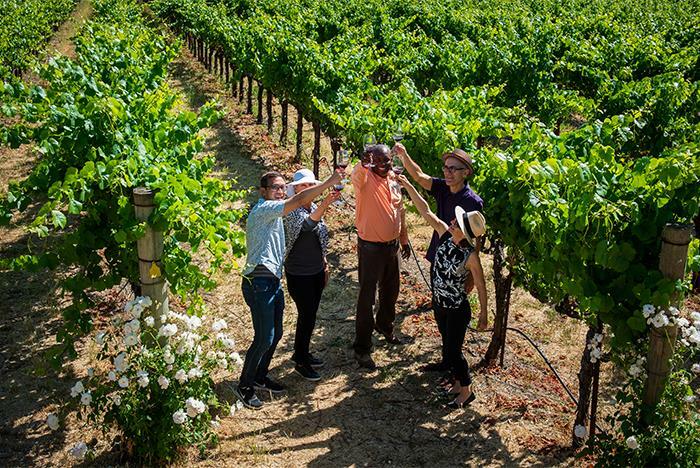 Though Napa and Sonoma wineries are the stars of this tour, your Expedition Leader will make sure to stop on the way back so you can take some amazing selfies in front of the Golden Gate Bridge or Bay Bridge before arriving back at your hotel. 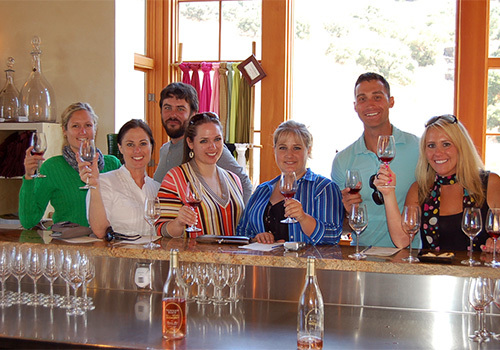 Have you been to Wine Lover's Tour? Share your knowledge and be the first to review this. How long is the Wine Lover’s Tour? From beginning to end, the entire tour is about 9 hours long. Yes. However, guests under the age of 21 may not participate in the wine tasting portions of the tour. How many individuals are on the tour at once? Our van can seat 13 passengers comfortably. Our tours are capped at 13 guests. Are wine tasting fees included in the cost of the tour? Because guests have the privilege of requesting different wineries to visit, wine tasting fees are not included. 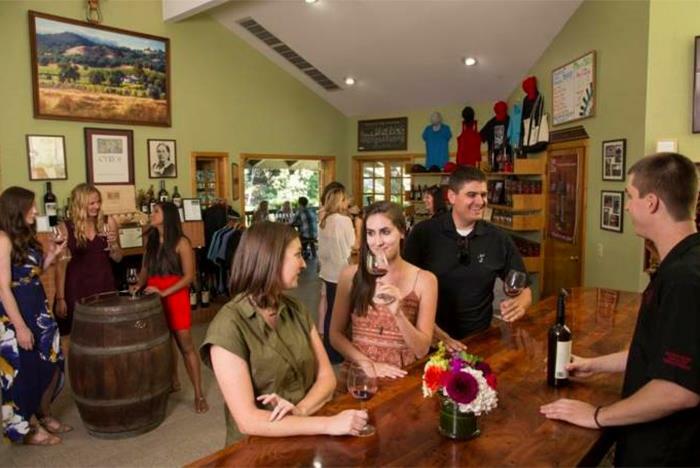 Depending on the chosen wineries, tasting fees can range from $5 to $20 per person. Is food included on the tour? No. Guests are welcome to bring their own lunch or purchase food at the chosen lunch stop.